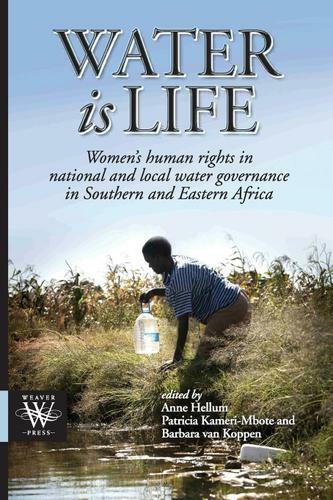 This book approached water and sanitation as an African gender and human rights issue. Empirical case studies from Kenya, Malawi, South Africa and Zimbabwe show how coexisting international, national and local regulations of water and sanitation respond to the ways in which different groups of rural and urban women gain access to water for personal, domestic and livelihood purposes. The authors, who are lawyers, sociologists, political scientists and anthropologists, explore how women cope in contexts where they lack secure rights, and participation in water governance institutions, formal and informal. The research shows how women - as producers of family food - rely on water from multiple sources that are governed by community based norms and institutions which recognise the right to water for livelihood. How these �common pool water resources� - due to protection gaps in both international and national law - are threatened by large-scale development and commercialisation initiatives, facilitated through national permit systems, is a key concern. The studies demonstrate that existing water governance structures lack mechanisms which make them accountable to poor and vulnerable water users on the ground, most importantly women. The findings thus underscore the need to intensify measures to hold states accountable, not just in water services provision, but in assuring the basic human right to clean drinking water and sanitation; and also to protect water for livelihoods.